I saw this awesome activity on the Magic School Bus! 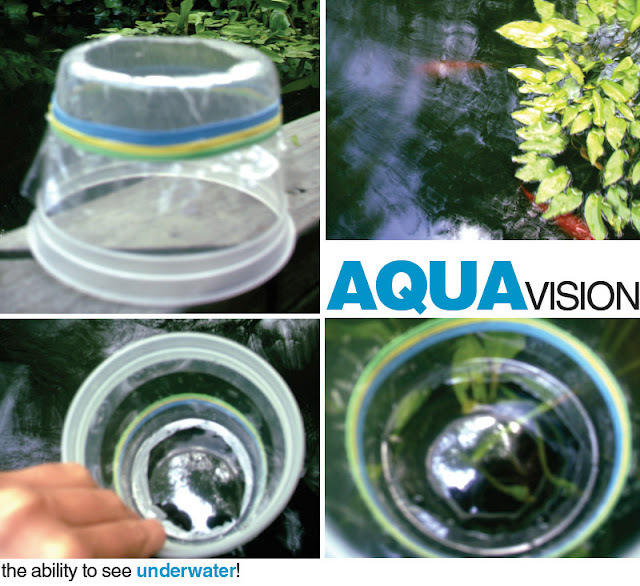 Make your very own aqua scope to check out what lies beneath a pond, lake, river, or ocean! All you need is a plastic container (yogurt or cottage cheese container, milk jug / carton - anything will do). I used a bead container. All you do is cut a large hole in the bottom of your scope. Then, cover the bottom with saran wrap, rubber band, and head to your nearest aquatic ecosystem. Submerge the viewer into the water (don't dunk it all the way under! ), leaving the opening just above the water. You'll be amazed at how your viewer suddenly gives you aqua vision power! Check out all the plants and organisms that all live together in one ecosystem. Talk about biotic (living) and abiotic (nonliving) components within an ecosystem. I've seen this activity around before, but still haven't done it. After a brief trip to our local creek yesterday, I realize that I need to put together a kit of sorts for spur-of-the-moment explorations/adventures. We will be making a few of these to include.